Now in FULL COLOR -- 7th Printing! Castles & Crusades is a fantasy role playing game with countless possibilities. The Players Handbook allows you take up the sword and shield, the staff or bow; to arm yourself as you desire and wander upon planes of your own imagination to reap the harvest of adventure. It's easy to learn attribute-based rules system allows players to choose among 13 archetypal character classes and 7 races to with which create their characters. 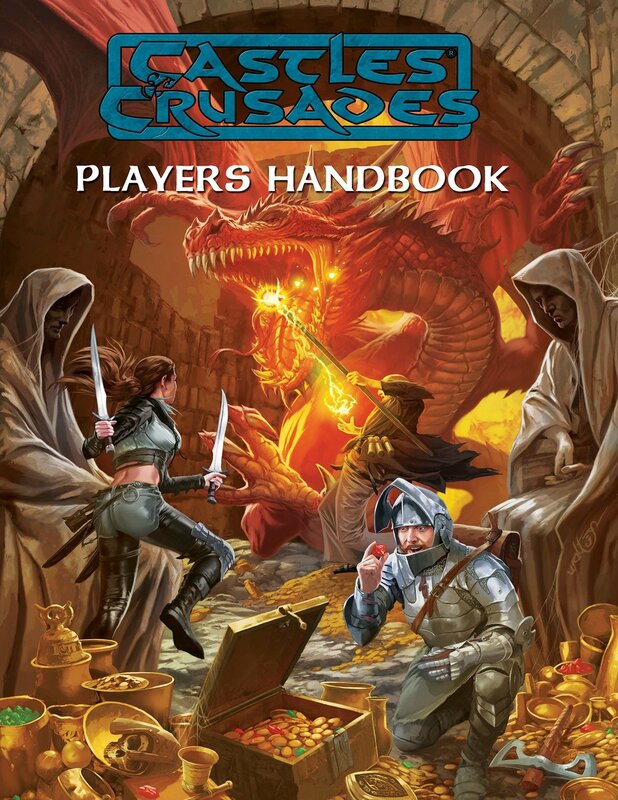 Spells, equipment, fast-paced combat rules, and all essential information needed to play a game of Castles & Crusades are in this book.